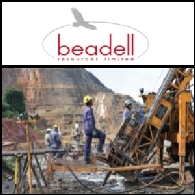 Beadell Resources Limited was incorporated in May 2007 to acquire mineral interests throughout Australia and Brazil, with an emphasis on gold. The Tartaruga Project in Brazil contains gold exploration assets which have the potential for early development. The Company has assembled a highly experienced team to manage Beadell and steer it towards rapid growth by means of successful exploration and expansion programs. Beadell is managed by three of the former members of the executive team from Agincourt which was recently taken over by Oxiana. 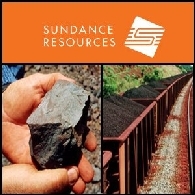 Management is ably supported by geologists who have already commenced employment with the Company. This team has the proven technical, operational and financial skills in relation to the discovery, exploration and development of mineral deposits that will elevate Beadell as an emerging ASX-listed gold company. 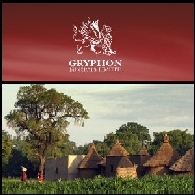 Laporan Pasar Australia 23 Maret 2011 memuat: Gryphon Minerals Limited (ASX:GRY) melaporkan hasil penggalian lebih lanjut pada Proyek Emas Banfora di Burkina Faso; Beadell Resources Limited (ASX:BDR) mengumumkan hasil penggalian lanjutan yang sangat signifikan pada Proyek Emas Tucano di Brasil; Clancy Exploration Limited (ASX:CLY) telah memotong mineralisasi emas, perak dan logam dasar berkandungan tinggi pada Proyek Condobolin di New South Wales bagian tengah; Blackthorn Resources Limited (ASX:BTR) meningkatkan pendanaan AUD 10 juta untuk membiayai proyek-proyek emas dan seng di Burkina Faso.